Charles and Janet Moore are pictured on their wedding day on June 26, 1965. 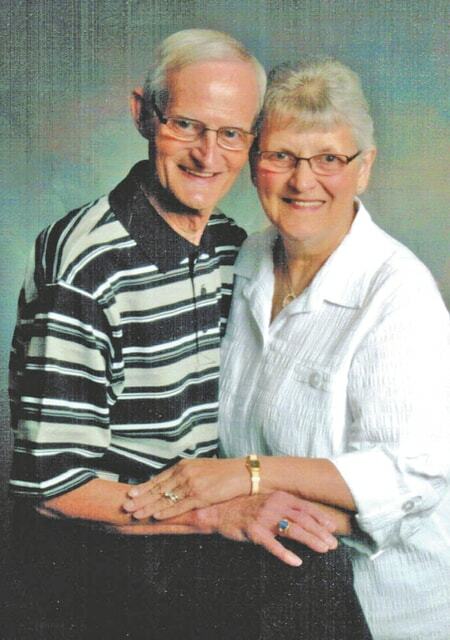 Charles and Janet Moore are shown in a more recent photograph. Mr. and Mrs. Charles A. Moore of Hillsboro will celebrate their 50th wedding anniversary with an open house from 2-4 p.m. Saturday, June 27 at the Hillsboro First United Methodist Church in Hillsboro. Mr. Moore and the former Janet Marie Tolle were united in marriage on June 26, 1965 at the Mt. Olive Church of Christ by pastor the Rev. Ronald Sams. They have lived all of their married life in Highland County. Friends and relatives are invited to attend this special occasion. Mr. and Mrs. Moore live at 700 E. Main St., Unit 9, Hillsboro, Ohio 45133.